All new players are eligible to take up our Exclusive Welcome bonus offered at Casino Cruise. 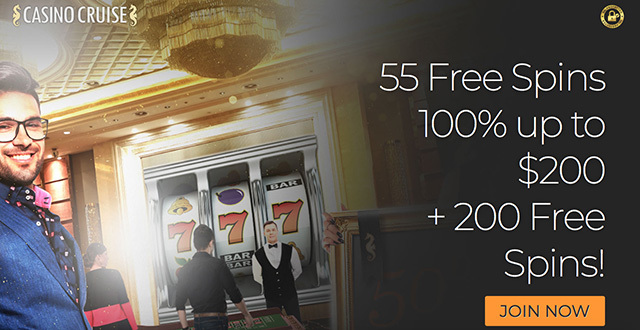 Get a 100% bonus up to €/£/$200 + 200 Bonus Spins (18+,T&C’s apply). The minimum deposit is a low €/£/$10 or equivalent to qualify for this bonus. 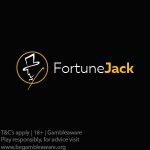 As this is an Exclusive offer for our NetentCasinos.Reviews followers, please use the special links on this page. All new players who have not yet registered for an account at Casino Cruise can take advantage of this generous offer. 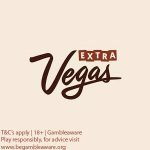 How do I get my 55 No Deposit bonus spins? Simply sign up for a Casino Cruise account using the special links on this page (or here). Log into your account the next day after registration (by 12pm GMT). Open up the Starburst slot to start spinning and winning. Note: Players must be 18 years or older. Click here for the full Bonus Terms and Conditions. Deposits made via Skrill or Neteller do not qualify for this Exclusive Welcome Bonus. The wagering requirement is 40 times (bonus) for the Welcome bonus. Your 55 No Deposit bonus spins are available on the Starburst slot. Canadian players will receive their 55 bonus spins on the Lady of Fortune slot. Your No Deposit bonus spins will only be available for 72 hours, the day after you have registered. All bonus spins winnings need to be wagered 40 times before any withdrawals can be made. The maximum bonus spins winnings that can be cashed out is AUD/CAD/€/£/$100. Players from these countries are not allowed to deposit or open an account at Casino Cruise: Poland, Malaysia, Georgia, Philippines, Belarus, Latvia, Czech Republic, China, Bulgaria, Kazakhstan, Vietnam, Lithuania, Thailand, Indonesia, Nigeria, Bangladesh, Mongolia, Bosnia and Herzegovina, Republic of Moldova, and Ukraine. Posted in Casino Cruise and tagged Casino Cruise bonuses, Casino Cruise free spins, Casino Cruise welcome bonus.